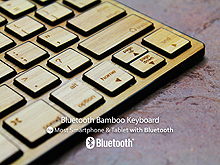 Wireless Bluetooth Bamboo Keyboard is ultrathin, thinner than apple bluetooth series. 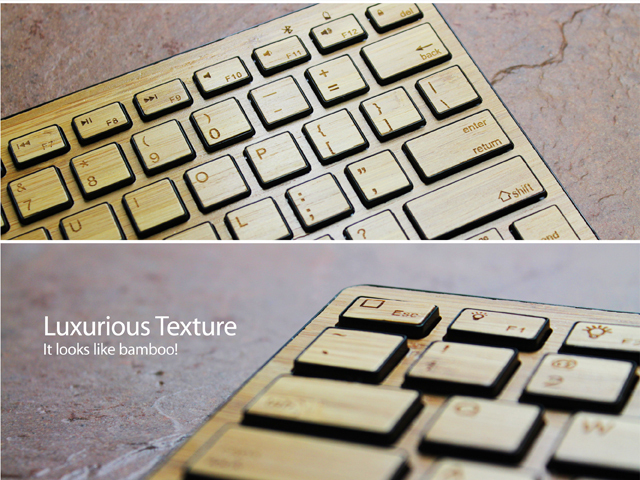 Any product is unique because its natural grain of bamboo. 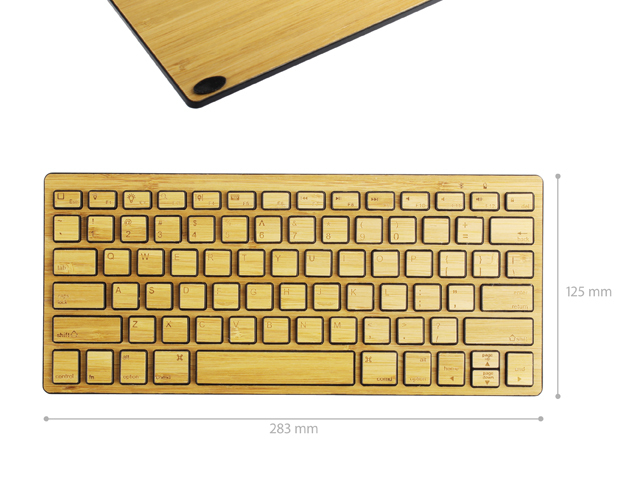 Scissor framework keys feel is good, noiseless, dustproof, waterproof. 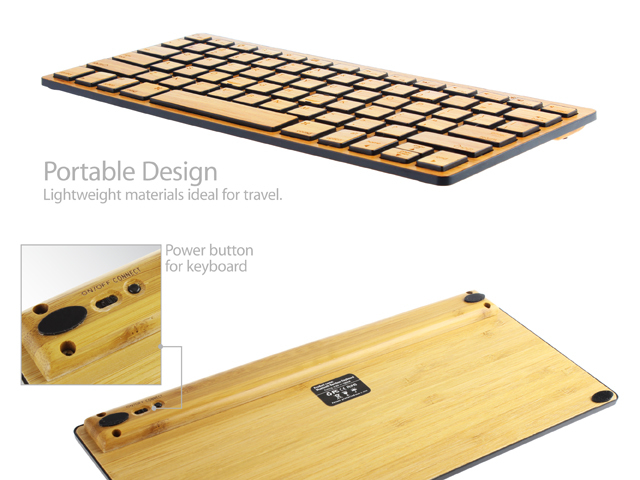 Appearance is slender and thin, small volume and portable. Bluetooth wireless connection, don't need to take up the USB interface. With a rechargeable lithium battery. After full charging, you can use it for 50 hours continuously. 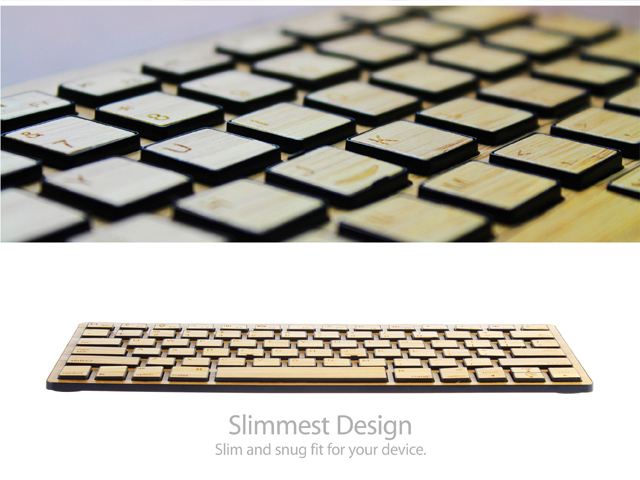 Intelligent power saving mode, it will into sleep mode automatically after a few minutes when you stop using keyboard. The power indicator light go out, press any key gently, it will wake up. Applying BroadcomMCU with bluetooth V3.0 interface. Most of Tablets, Smartphones and other devices with compatible Bluetooth standard and compatibility.